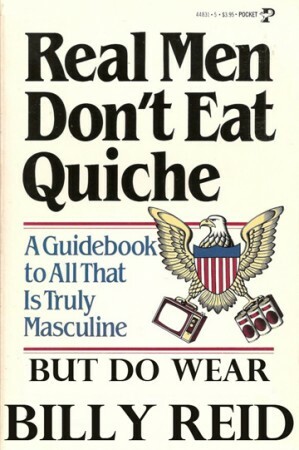 Real Men Don't Eat Quiche, But Do Wear Billy Reid » I Mean…What?!? The revised book for the ages. A. A Manzie is not a Pansy or a Dandy. A Pansy doesn’t necessarily dress effeminately to be teased by a bunch of blokes. They can have a sisssing “S” in their speech, run with their arms flailing or cheerleaders. A Dandy dresses like a gentleman with a touch of avant garde. A Manzie is desperately trying to be “on trend”. A Manzie can be a straight man trying too hard to be stylish or a straight-acting-gay-guy who acts extra butch to compensate for his quirky fashion choices. Comprende? Now that we got that out of the way, somewhere between Vivenne Westwood and Thom Browne, along came Billy Reid to wash away the horrendosity of nelly wear, making the statement that real men wear plaid, and not in a skirt. This American designer offers a lifestyle collection for men and women that embraces traditional Americana, coupled with smart detailing modern cuts. 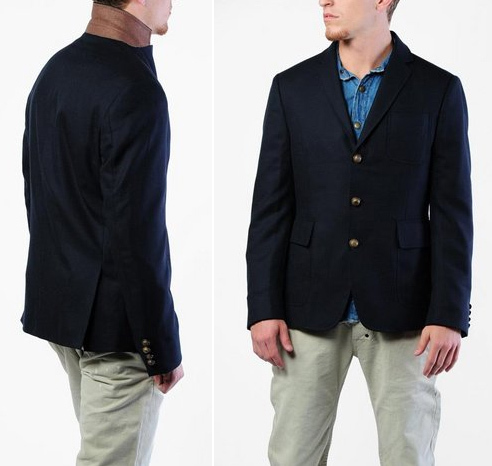 Take the navy blue blazer…please. This wardrobe staple is best served with the shorter length and a cool leather detail at the collar. 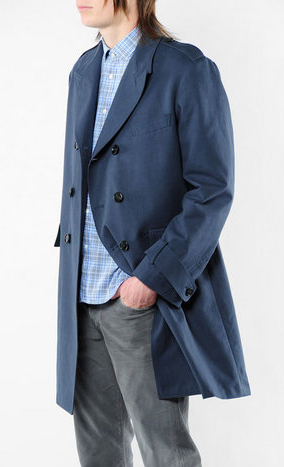 Another must-have for any guy is a trench coat. Billy has this one in light navy, updating the Burberry trench by a century. 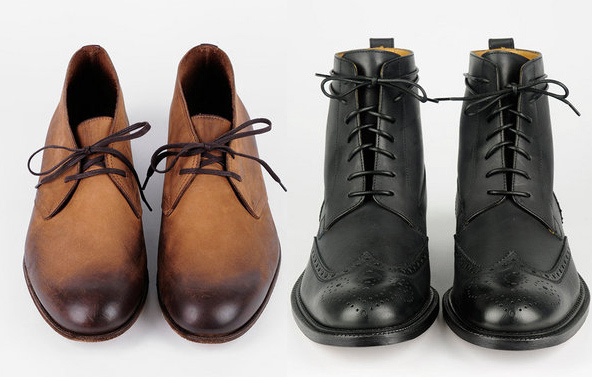 Hot guys can sport the Billy Reid look from head to toe, because his shoe line is beyond groovy. Reid takes old man shoes to the next level, that being for young men. These burnt Buster Browns are equally as great as these updated, high-top, wing tips. Sold. That said, go to Tobi.com where you can find great clothes for every gender…except gender bias. Check out the Billy Reid Collection at Tobi and then click here to tell us which is your favorite item.